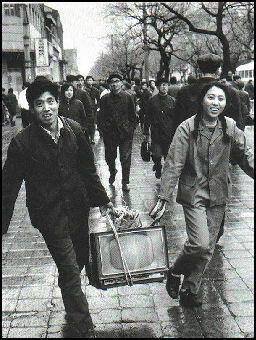 Buying a new TV in the 1980s In 1978, Deng Xiaoping launched what he called a "second revolution" that involved reforming China's moribund economic system and "opening up to outside world." The market-oriented economic reforms launched by Deng were described as "Socialism with Chinese Characteristics." Deng insisted the reforms were not capitalistic: "I have expressed time and again that our modernization is a socialist one," he said. 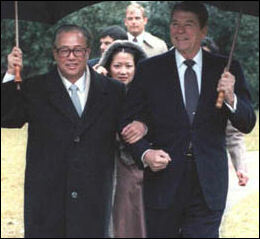 Deng’s policies have been called “radical pragmatism.” Deng himself called it “crossing the river by feeling for the stones” and the policy in its early stages was called the “the household responsibility system.” The reforms set in motion one of the longest sustained economic expansions in history; three decades of annual growth near 10 percent. The Deng era is known in China as the Period of Reform and Opening. Deng needed great political skill and patience to get his reforms past hard liners in the Chinese Politburo. There was always the belief that the Deng reforms would be reversed at any moment. Deng himself insisted the reforms kept the Communist party from being "toppled." The Deng reforms decentralized the state economy by replacing central planning with market forces, breaking down the collective farms and getting rid of state-run enterprises. One of the most successful reforms---the "within" and "without” production plans---allowed businesses to pursue their own aims after the met their state-set quotas. Enterprises and factories were allowed to keep profits, use merit pay and offer bonuses and other incentives, which greatly boosted productivity. In the Deng era there was a shift from central planning and reliance on heavy industry to consumer-oriented industries and reliance on foreign trade and investment. The 1978 reforms included efforts to boost foreign trade through the establishment fo 12 state companies to control imports and exports and the creation of Special Economic Zones (SEZs) along China's southern coastline. In 1982, communes began to be dismantled and peasants were allowed to grow and sell produce. In 1985, tariffs were cut from 56 percent to 43 percent beginning the long, gradual reduction of import barriers. Good Websites and Sources on Deng Xiaoping: Wikipedia article Wikipedia ; Life of Deng Xiaoping cbw.com ; CNN Profile cnn.com ; New York Times Obituary nytimes.com ; China Daily Profile chinadaily.com. ; Wikipedia article on Economic Reforms in China Wikipedia ; Wikipedia article on Special Economic Zones Wikipedia . Good Websites and Sources on the Tiananmen Square Protests: Graphic pictures christusrex.org and christusrex.org ; Tiananmen Square Documents gwu.edu/ ; Gate of Heavenly Peace tsquare.tv ; Wikipedia article Wikipedia ; BBC Eyewitness Account news.bbc.co.uk Film: The Gate of Heavenly Peace has been praised for its balanced treatment of the Tiananmen Square Incident. Gate of Heavenly Peace tsquare.tv. Books Abour Deng Xiaoping: Deng Xiaoping and the Transformation of China by Ezra F. Vogel (Belknap/Harvard University, 2011); Burying Mao: Chinese Politics in the Age of Deng Xiaoping by Richard Baum (1996, Princeton University Press); China After Deng Xiaoping: The Power Struggle in Beijing Since Tiananmen by Willy Wo-lap Lam (1995, P.A. Professional Consultants); Deng Xiaoping by Uli Franz (1988, Harcourt Brace Jovanovich); Deng Xiaoping and the Chinese Revolution: A Political Biography by David S.G. Goodman (1994, Routledge); Deng Xiaoping: Chronicle of an Empire by Ruan Ming (1994, Westview Press); Deng Xiaoping and the Making of Modern China by Richard Evans 1993, Hamish Hamilton); Deng Xiaoping: My Father by Deng Maomao (1995, Basic Books); Deng Xiaoping: Portrait of a Chinese Statesman edited by David Shambaugh (1995, Clarendon Paperbacks); The New Emperors: Mao and Deng---a Dual Biography by Harrison E. Salisbury (1992, HarperCollins). Books about Modern China worth reading include The Search for Modern China by Jonathan Spence, China-Alive in a Bitter Sea by Fox Butterfield, To Get Rich is Glorious by Orville Schell, The New Emperors by Harrison Salisbury, Coming Alive-China After Mao by Roger Garside and The Dragon Wakes by Christopher Hibbert. You can help this site a little by ordering your Amazon books through this link: Amazon.com. Books About Tiananmen Square: Timothy Brook’s “Quelling the People: The Military Suppression of the Beijing Democracy Movement” is regarded as the most complete book on Tiananmen Square. According to Ian Johnson it is “a work by a classically trained historian who turned his powers of analysis and fact-digging on the massacre. Even though Brook’s book doesn’t include some important works published in the 2000s (especially the memoirs of then Party secretary Zhao Ziyang and a compilation of leaked documents known as The Tiananmen Papers), Quelling the People remains the best one-volume history of the events in Beijing.” One should also note the works of Wu Renhua, a Tiananmen participant and author of several Chinese-language works, as well as a a book by Jeremy Brown of Simon Fraser University. "For the vast majority of the people in the countryside, the credibility of the Communist Party was damaged already during the Great Leap Forward," he says. "When the organization of the Party is damaged by the Cultural Revolution, there's very little left in the countryside to believe in.” Throughout the country, people began setting up markets and exchanges. They "undermine the planned economy and force Deng Xiaoping to abandon it.” This economic reform, driven by the very people who were most abused by Communist rule, would see millions of Chinese lifted from poverty and change the country forever. Vogel calls Deng "the general manager" of China's latest revolution. As he pushed and pulled his country into the modern world, he was careful not to get out in front of the changes. He used younger officials such as Hu Yaobang and Zhao Ziyang for that. (He ended up sacrificing both.) 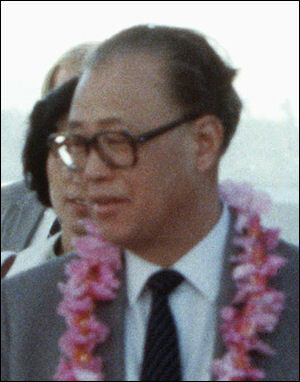 In fact, as Vogel reports, Deng wasn't even at the forefront of some of the most important political and economic moves - such as the 1976 arrest of the Gang of Four, including Mao's widow, Jiang Qing, and the decision to launch market-oriented special economic zones in the south that became hothouses for capitalist-style experimentation. Vogel also provides enlightening details of Deng's efforts to use ties with the United States and Japan to China's advantage. While Mao opened China to the West as a way to counter the Soviet Union, Deng realized that American and Japanese technology, investment and knowledge would be keys to his country's advance. They were. Indeed, no nation has been more important to China's modernization than the United States - a fact that no Chinese official has ever acknowledged. Vogel also has a skewed view of the events that forced Deng to reform China's economy,” Pomfret. According to him, Deng and his lieutenants, such as Wan Li, engineered the reforms. In reality, it seems that the Chinese people demanded them by, among other things, dismantling the commune system, and Deng and others were smart enough to get out of the way. Indeed, the Chinese people get short shrift in this book about China. Roderick MacFarquhar, a China expert at Harvard, said Zhao’s memoirs gave him a new appreciation of Zhao’s centralrole in devising economic strategies, including some, like promoting foreign trade in coastal provinces, that he had urged on Deng, rather than the other way around. Deng Xiaoping was the godfather, but on a day-to-day basis Zhao was the actual architect of the reforms, MacFarquhar said. Bao Tong, Zhao's former aide, told Reuters his boss "would go to factories and villages" and ask them whether they had any problems. "He focused on these problems, not on how you can help develop Marxism." Daily life in much of China Deng had a “three-step” plan for China: 1) step one, double GDP from 1981 to 1990 and ensure enough food and shelter for all people; 2) step two, double GDP again in the 1990s and make sure people live a moderately prosperous life; and 3) step three, achieve modernization by 2050 by raising incomes to the levels of medium-size developed countries. Deng’s “reform and opening” policy was approved by the party elite at the same party meeting in December 1978 in which his rival Hua Guofeng was ousted and Deng became the de facto leader of China. Launched two years after Mao’s death when China was still emerging from the Cultural Revolution, the policy opened the way for perhaps the most astonishing economic turnaround in human history. Gradualism, successful integration into the world economy, high levels of growth and investment and a trial and error approach to policy have all contrubuted to China's growth and success. The first special economic zone (SEZ) was established in Shenzhen in 1980. Wary of a rival power bases in economically powerful Shanghai, Deng chose the extreme south to launch his reforms and economic experiments. 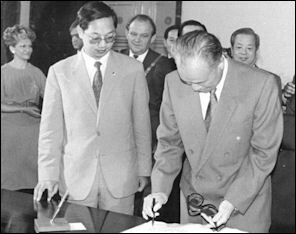 In 1986, Deng promoted the “open door” policy to encourage foreign investment. At the time spiraling inflation and corruption limited the amount of foreign investments and money that flowed in. 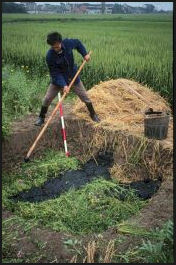 Fang Lizhi wrote in the New York Review of Books, “Beginning in the 1980s, tens of millions of migrant workers from the countryside crowded Chinese cities to sell their labor in construction, sanitation, and other menial tasks. They were the bedrock that made Deng’s “economic miracle” possible. Deng’s economic reforms first really took hold in the countryside where peasants were encouraged to participate in the market economy. Communes and collectives were dismantled and were divided up into plots of land that was leased back to peasants who were encouraged to raise crops to sell in private markets. The reforms began with the "household contract" and "responsibility system," developed and launched quietly in 1978 by an 18-year-old villager, Yan Hongchang, who started a production group with the leaders of 20 villages. In the little-known village of Xiaogang in east Anhui Province 18 farmers signed a secret agreement to divide communally owned farmland into individual sections called “household contracts”. At the time, this should have been regarded as a hefty “counter-revolutionary crime”. But the experiment won the support of Deng and was quickly implemented across the nation, becoming the first major breakthrough in economic reform and opening up. 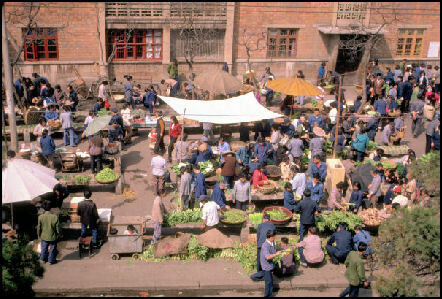 In the late 1970s, Chinese farmers and rural cadres were frustrated with the commune system, seeing it as an obstacle to improving agricultural production and their lives. Thus, Xiaogang village's privatization experiment quickly won popular support and was opposed only by a few diehard Maoist ideologues and conservatives. Later the "responsibility system" became common place all over China and incentive price bonuses for above-quota grain production were introduced. Many have said that Deng set up a system that allowed the Chinese do what they do best---make money. The early economic reforms meant that people could make money selling produce at local markets and doing work at home, such as mending clothes, repairing pots, or giving piano lessons, and opening up small businesses. One official told Theroux in 1988, "China is the first stage of socialism---we are just beginning to develop. In some ways, we are underdeveloped and we are proceeding slowly and carefully. In the countryside the reforms have gone smoothly. But in the cities much remains to be done." The system has relied on Township and Village enterprises (TVEs), which has produced a class of wealthy and corrupt autocrats. Asia for Educators, Columbia University afe.easia.columbia.edu <|>; Text Sources: New York Times, Washington Post, Los Angeles Times, Times of London, National Geographic, The New Yorker, Time, Newsweek, Reuters, AP, Lonely Planet Guides, Compton’s Encyclopedia and various books and other publications.